By AsiaToday reporter Lee Mi-hyun - Asian Millennials, born between the early 1980s-early 2000s, are eating out more often and more interested in traveling abroad than Western counterparts. In particular, Millennials in emerging markets such as China and India are seeing their average wage increase and their buying power will increase further in the coming years. Let's look at the spending habits of the Millennials in Asia. Chinese and Indian Millennials are expected to be the most important generation of the global consumer market. According to a September 8th report by global investment bank Goldman Sachs, Chinese Millennials now number around 415 million and this is more than the working population of both the United States and Western Europe. They are expected to have a bigger impact on global consumer market in the future as their average annual income will more than double from US$5,900 in 2014 to US$13,000 in 2024. Their combined income is expected to reach US$5.4 trillion by 2024, which is twice the GDP of the UK. India is one of the youngest countries with 440 million Millennials, which account for 35% of its population. "The sheer size of India's youth paves the way for sustained growth in purchasing power and makes India's consumer story one of the world's most compelling for the next 20 years," Goldman Sachs said in a research note today. Along with China, India is forecast to see the highest real wage increase this year. (See: Korn Ferry Hay Group's <2016 Salary Forecast>). Asia is also forecast to see the highest real wage increase with 4.2% while the increase in real wage is expected to be 2.5%, globally. The lifestyle of many Millennials stuck in their parents' homes, is actually good news for retail and leisure industry. According to a CBRE survey of 5,000 Millennials between the ages of 22 and 29 from Asia-Pacific regions (China, Hong Kong, India, Japan, and Australia), 65% of Millennials aspire to get a place of their own, however 63% live with their parents. This is due to soaring property prices. The average Chinese Millennial would need at least 25 years to buy a house in Beijing. Millennials are putting off commitments like home and car ownership due to lack of funds and are even choosing to live with their parents to spend more on leisure activities and shopping. Asia-Pacific Millennials in the survey save 20% of their income and spend 30% on leisure activities like shopping and eating out. In addition, Asian Millennials are more likely to live with parents than the global average of 49%. Living with parents means their spending power could be higher than North American and European counterparts with cultural norm of moving out. According to the CBRE survey, Chinese Millennials are much more likely to spend on leisure activities such as eating out and going to movies. They go out almost 10 days a month, while North Americans do the same 7.4 days and Europeans only five days a month. Millennials go out to eat more often than Baby Boomers (people born between the late 1950s and early 1960s) and spend roughly 10% more on food outside the home than Boomers do. The probability of eating out at least once a week is twice the percentage of Baby Boomers. Although they put much importance on health and quality of food ingredients, they are also price-sensitive. Millennials want good quality, well-presented 'photogenic' gourmet food in a casual dining environment. Fast casual restaurants are growing rapidly as they present a healthier, better quality alternative to traditional fast food chains, satisfying the Millennials. According to a new data from the US market research agency NPD Group, the fast-food industry such as McDonald's had a negative growth last year, while the fast-casual market grew by 9%. The fast casual market is also heating up in Asia. The social and economic situation in Asia with rising disposable incomes and development of dining-out culture is the best environment for fast-casual restaurants to grow. Chinese consumers are showing the most evident changes in taste. Chain restaurants such as Grandma's Home and Xibei Youmian Cun are gaining popularity, while fast-food restaurants such as McDonald's and KFC are struggling to compete against those restaurants. Yum Brands, the owner of KFC and Pizza Hut, and McDonald's have either sold their Chinese business or are in the process of selling them. In India, the number of fast casual burger chains is increasing. Indian economic newspaper Business Standard recently reported that MOOYAH Burgers Fries & Shakes is considering opening stores in India. "The younger generation like to go out and enjoy themselves in restaurants and international brands can do well," said a rep from MENAFEX, the master franchisor for MOOYAH. Premium burger chain Johnny Rockets, which has already made success in Indian market, is also considering to open more stores. In South Korea, fast-casual trend can be found in premium gimbap restaurants and high-end handmade burger chains. American fast casual restaurant chain Shake Shack, which opened its store this year in Seoul, is also enjoying great popularity. Singapore is one of the leading countries in the fast-casual industry in Asia. Singapore-based Zest Group quickly introduced fast-casual concept in Asia. The firm owns and operates three brands: Artisan Boulangerie, Twelve Cupcakes and Alt Pizza. 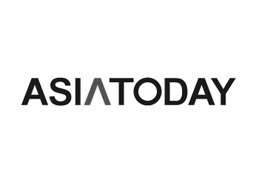 Combined, the three have more than 40 outlets across Asia. The taste of Millennial generation, who values both quality and price competitiveness, is affecting the overall food industry. Brittany Weissman, consumer analyst who covers the food industry, said food companies are trying to appeal to Millennials by putting emphasis on health and high-quality ingredients. In particular, frozen food companies, who have suffered from a reputation for high calories and sodium, are transforming themselves to target Millennials. Nestle and Big Food are developing low sodium products with reduced nutrient loss. Green Giant, whose frozen product sales have declined for years, introduced items that would remind us of fast-casual menu, with names like Thai Coconut and Brussels Sprouts with Bacon. Global confectionary company Mondelez, which suffered from a setback in sales in the Chinese market, succeeded in satisfying Millennials' snacking tastes. The makers of Oreo launched "Oreo Thins", a slimmed-down variation of the original iconic chocolate cookie that have less cream filling and fewer calories per cookie, generating $60 million (KRW 68.5 trillion) in sales. Cheap restaurant chains targeting the Millennials are gaining popularity in Japan. According to Nikkei Asian Review, major Japanese izakaya chains are recently filling up their menu with low-priced snacks. Japanese restaurant chain Watami remodeled 76 existing izakaya chain stores as low-priced models last month. While many premium izakaya restaurants are suffering, yakitori pub chain Torikizoku, which sells all its food and drinks for 280 yen, grew 7.6% in the first half of this year against the same period of the previous year. Asian Millennials are expected to lead the growth of travel industry. Travel magazine TRBuisness revealed that 'Millennial' and 'Asia' are the two keywords of the travel industry, citing a recent research by Counter Intelligence Retail (CiR). Millennial travelers spend roughly $200 billion a year on travel as 22% of all travelers. According to a recent travel study which queried more than 8,500 adults in 24 countries, they take more leisure trips as well, at 4.2 trips a year, versus 2.9 for 31-45 year-olds and 3.2 for 46-65 year-olds. The largest future growth will come from Asia Pacific. CiR said that huge growth in international traffic is expected in key markets such as India, China, Malaysia, Thailand and South Korea. By 2025, China is expected to see an extra 74 million travelers heading abroad. Asian Millennial travelers are expected to spend $340 billion on international trips by 2020, according to digital marketing consulting firm Brand Karma. Meanwhile, Asian Millennial travelers prefer new activities and experiences rather than the comfort of organized tours, said Hong Kong's South China Morning Post (SCMP). In a recent survey conducted by market research firm 'Agility Research' to 900 millennial respondents in China, India, Hong Kong, Singapore, Malaysia and South Korea with overseas travel experience, 77% said they choose destinations where they can do new activities and experiences. 61% said they want a custom experience when sight-seeing, compared to only 38% who prefer a packaged, group-led tour.